Two weeks of early access to the expansion packs. Some information regarding Battlefield Hardline’s Premium, a one off deal that bundles the forthcoming DLC together at a discounted price, has come to light that shows off some planned upcoming content for the game alongside some other little details regarding early access. The Premium content also includes a number of Battlepacks that will include exclusive in game apparel. “Just to make sure everyone knows you’re a Premium member, get Premium-exclusive camos, patches and more to dominate in style. But that’s not all–there are also more perks yet to be announced, so stay tuned,” EA said. 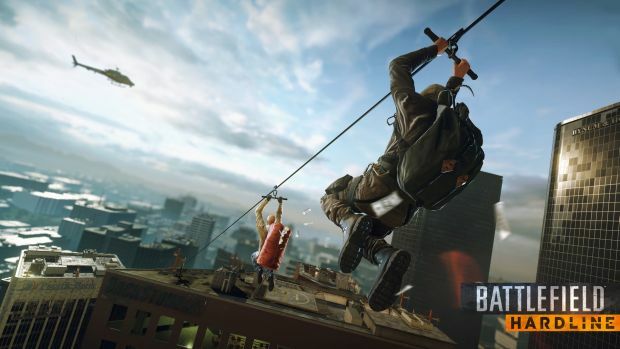 Battlefield Hardline wasn’t exactly considered anything interesting when the Beta hit recently, so will you be picking it up when the game lands on March 17th? Will you go Premium?